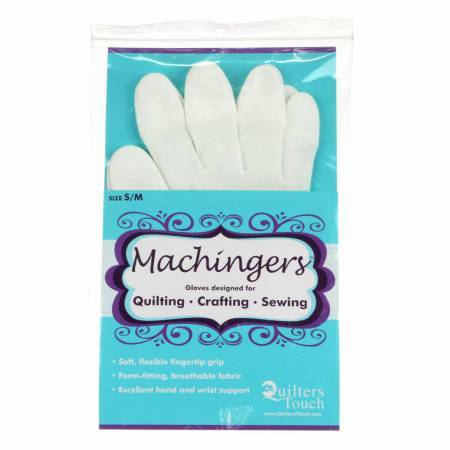 Machingers quilting gloves are the perfect tool to use when quilting on a home sewing machine. Made of breathable nylon, Machingers are comfortable enough to wear for hours. The fingertip coating gives full control with less resistance and drag on fabric .